If you liked this show, you should follow Robert Cardoza Live. 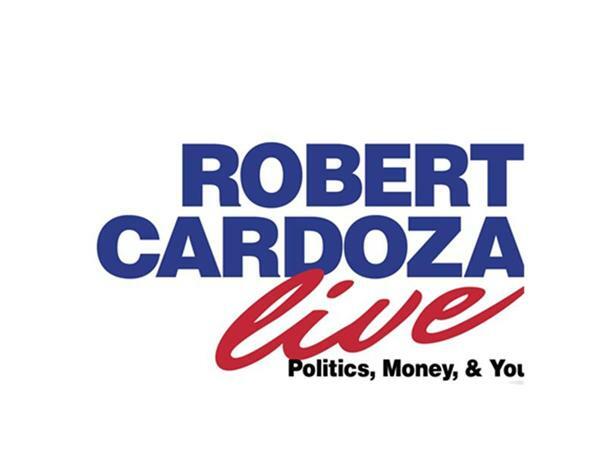 Robert Cardoza Live is the Intersection of Business and Politics. We discuss Politics-Money & You each weekday from 4pm to 5pm Pacific Time. Our subjects daily include: Law, Financial Planning, Politics, Business, IRS Mistakes, New Technology, Wine and Current Events. We take listener calls and answer their emails as well as run an active chat room during our broadcast.Join us and enjoy our interviews with Business Experts in addition to our Expert Contributors.This show is not for the light of heart, we tell it like it is and sometimes that is a bitter pill to swallow. The truth sometimes hurts. I don't care if you are a Conservative, a Liberal, a Tea Party Person or a Purple People Eater. If you do something good you get credit and if you do something stupid you get blasted.